Who - and what - is an Chayah Eishet Chayil? CHAYAH EISHET CHAYIL Eishet comes from ishah (spelled alef-shin-hey), which comes from ish (spelled alef-yod-shin), which means man. “And the man declared, ‘This one shall be called woman, for from man was she taken. '” (Gen. 2:23) It was not by man’s hand, or yad, that she came, but the hand of the Almighty took her out of the man. The word translated rib is from the Hebrew word tselem, which can mean rib, but is more often used to indicate a whole side, a shadow, or an image. Man was made in the image of Elohim, and the Ishah is the image or side of man. She was intended to stand at his side and by his side. Chayah is Hebrew meaning Live or to Live; revive or be revived. Chayil is related to the words, chai, life, and chaim, lives, and the name Chavah, Hebrew for Eve, (the first woman) the mother of all living, all associated with life, life force. Chayil means force, army, host, strong, valorous, courageous, or even virtuous. We can look back through history and see that the status of women varied widely through the parade of years and cultures. And yet any culture building its values on Scripture, especially informing its values by Mishlei (Proverbs) 31: 10-31, would have to recognize not only the value of a virtuous (strong) woman, but also that such women are vital. Virtue comes from the Latin word, virtus, strong. Who – and what – is an Eishet Chayil? Eishet can be translated from Hebrew to English as woman or wife. Chayil can be translated as virtuous, valorous, strong, and courageous. 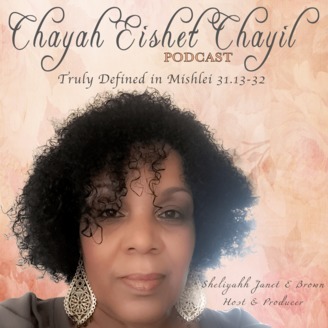 The Eishet Chayil is truly defined in Proverbs (Mishlei) 31:10-32. This passage describes not only the ideal woman, but the ideal wife. Eishet Chayil is also the song of praise and joy that a Jewish, Israeli, or Hebrew man sings to his wife at the sabbath dinner table. If she is not yet an Eishet Chayil, this is his statement of hope and faith that she will grow into the role. If she is achieving the role of an Eishet Chayil, she glows with pride and joy that her efforts are recognized and appreciated. She is inspired each week to reach for the goal of actually earning the prized title. 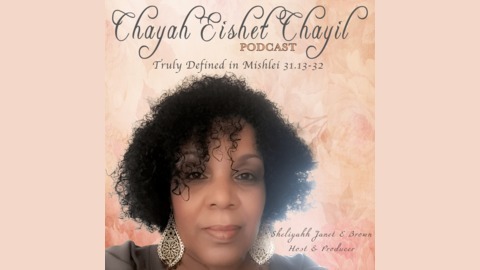 Summary: Eshet/Eishet = woman Chayil in the Torah means: • To be firm or to endure (Job 20.21) • Physical strength (Psalms 18.40) • Moral strength (Psalms 18.32) • Army (Exodus 14.4) • Wealth (2 Kings 15.20) Are you a Eishet Chayil a Formidable Warrior? A woman builds her house or she tears it do. WE are continuing on this journey of these two women. We are in the final closure of the journey in which Maryam's Tefillah Song is released. What is the recollection and prophetic timelessness between these two women and the fruit of their wombs. Learn about Maryam Tefillah and the adoration she spoke of Yahuah. Why is this so important for us to recollect. Please note link not clickable in Instagram…However, copy and past in your browser.